Talk Summary: This talk tells the story of how a person became a better teacher by becoming a student again. It will share the universal principles of teaching and learning a new, difficult skill, regardless of the particular discipline. Michael T. Colatrella Jr. is Associate Professor of Law at University of the Pacific, McGeorge School of Law where he teaches Mediation, Negotiation, Section 1983 Prisoner Civil Rights Mediation Clinic, Legal Ethics, and a new first year required course that he co-developed, The Legal Profession. He is co-author of the interdisciplinary text Mediation—Skills & Techniques (Lexis/Nexis 2008) that is widely used in law schools, graduate schools, and schools of diplomacy. His most recent articles include “A Lawyer for All Seasons”: The Lawyer as Conflict Manager, which was published in the San Diego Law Review, and Learning “the True, the Good and the Beautiful” In Law School: Educating the Twenty-First Century Lawyer, which was published by the University of Texas Law School’s The Review of Litigation in fall 2014. Prior to joining the faculty at Pacific McGeorge, he served as Director of Southern Methodist University’s Center for Dispute Resolution & Conflict Management in Dallas, Texas, program offering a Master’s of Arts in Conflict Management. He also served as a full‑time Lecturer-in-Law from 2000-05 at Southern Methodist University Dedman School of Law where he taught Legal Research, Writing and Advocacy and Alternative Dispute Resolution. Before pursuing a full‑time academic career, Professor Colatrella was a litigator in New Jersey at Reed Smith Shaw & McClay, which is listed among The American Lawyer's top 100 law firms in the world. He also has experience working for both trial and appellate courts. 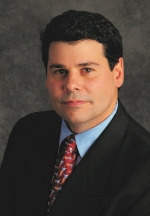 Professor Colatrella is a court-approved mediator in California, Texas, New Jersey and Kansas, and a former member of the Association of American Law Schools’ Executive Committee for Dispute Resolution. Since 1991, he has mediated disputes involving employment contracts, commercial contracts, consumer fraud suits, personal injury, and commercial and residential leases. Professor Colatrella also educates lawyers, corporate executives and professionals in a wide variety of negotiation, conflict management, leadership and human relations matters. He has consulted for public and private organizations such as Ericsson, Lockheed Martin, Blue Cross & Blue Shield, EDS, Alliance Data, Tenet Health Systems, Frito Lay, FEMA, and Capgemni. Professor Colatrella received his B.A. from Rutgers University and his J.D. from Seton Hall University School of Law. He received his LL.M. (Masters of Law) from New York University School of Law, specializing in Alternative Dispute Resolution and International Civil Procedure. Good graphics grab the mind’s eye and open it a bit wider than text alone can do. Using (he hopes) good graphics, Rich will address the question: What makes a graphic good? Rich Seamon teaches administrative law and constitutional law, and serves as an associate dean of faculty affairs at the University of Idaho College of Law. Prior to joining Arizona Summit Law School in 2011, Professor Millar was a Staff Attorney at the United States Court of Appeals for the Eleventh Circuit in Atlanta. Her work for the Court involved the review of appeals in bankruptcy, criminal law, civil rights, employment discrimination, habeas corpus, immigration, and Social Security cases. She also volunteered with the Atlanta Community Food Bank, the Partnership Against Domestic Violence, and the Fulton County District Attorney’s Teen Court Program. In 2012, she served as a volunteer attorney with the Office of the Federal Public Defender for the District of Arizona. Her work with the Capital Habeas Unit of that office involved civil litigation challenging Arizona’s death penalty procedures and assistance with representation of clients on death row. During law school, Professor Millar interned in The Hague with Judge Fausto Pocar, then president of the International Criminal Tribunal for the Former Yugoslavia and a judge on the Appeals Chamber for the International Criminal Tribunal for Rwanda. Professor Millar also interned with the Caribbean Regional Headquarters of the United Nations Entity for Gender Equality and the Empowerment of Women (UN Women) in Barbados. Additionally, she was an Articles & Comments Editor for the Miami Law Review, earned membership in the Order of the Coif, and sat on the national Board of Directors of Law Students for Reproductive Justice. Before attending law school, Professor Millar spent ten years working as a journalist. She also served on the Board of Directors of the New York City Chapter of the National Organization for Women from 1997 to 2005. She was President of the organization from 2000 to 2002, and in 2004 she received the Susan B. Anthony Award for grassroots feminist organizing. Professor Millar’s research interests include women’s rights, international and comparative law, alternative dispute resolution, and criminal law. She is the author of Envisioning a U.S. Government that Isn’t 84% Male: What the United States Can Learn from Sweden, Rwanda, Burundi, and Other Nations, 62 U. Miami L. Rev. 129 (2007). She has presented papers at the Lawyers as Peacemakers and Healers Conference at PSL and the Feminist Legal Theory Project’s Vulnerability, Resilience, and the State Workshop at Emory University School of Law. Professor Millar teaches International Human Rights, Introduction to Criminal Practice, Introduction to Legal Studies, Professional Responsibility, and other classes.